Coca‑Cola Life is our first lower-calorie cola sweetened from natural sources. It contains a third less sugar and a third fewer calories than Coca‑Cola, and its sweetness comes from a blend of sugar and stevia leaf extract. We’re constantly innovating to create new products – it’s all part of our commitment to provide a wide variety of drinks to suit every lifestyle and occasion. 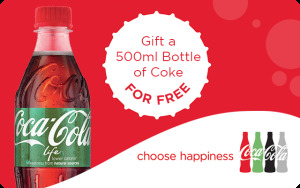 By adding Coca‑Cola Life to our range of colas, we are giving people an extra option that’s lower in sugar and calories, with sweetness from natural sources.